When it comes to Custom Showers, Tile Installation and Flooring Installation, no one compares to Stylish Floors, LLC. With years of combined experience, Stylish Floors, LLC has worked hard to build the trust of our clients in New Orleans, Mandeville and Madisonville and beyond. Visit our website to learn more. Or better yet, click the link and call us today! River Rock Stone Works is a post Katrina company that began in 2007 with the intent of helping in the rebuilding efforts of the community. By providing outstanding service along with genuine customer care, River Rock has continued to grow and expand throughout the Greater NOLA area. 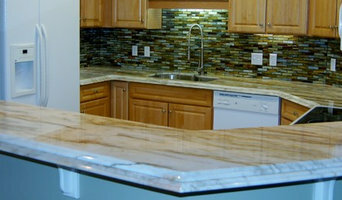 We are a locally owned and operated by Craig Tafaro and Allan Baudoin, Jr., specializing in the fabrication and installation of granite countertops, as well as all other natural materials. River Rock has become an industry leader in superior quality, affordable prices and exemplary customer satisfaction. 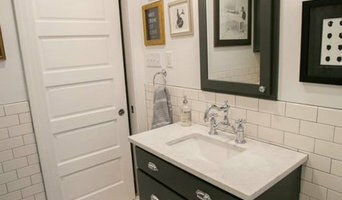 River Rock Stone Works is one of the most comprehensive sources for interior and exterior products including porcelain, ceramic, metal, glass, quarry, decorative accents and mosaics, cut to size stone, setting materials, and custom manufactured products made to your specifications and requirements. AJ Stone Group, LLC is the exclusive distributor of Technistone in Louisiana and Mississippi. Besides offering high-quality quartz products, we also offer full fabrication and installation services to our customers.